TERRACE PALMS - Nice 2 Bedroom/2 Bath Condo on the second floor. Split bedroom plan - good size rooms each with a walk-in closet and new carpet. The unit has been freshly painted inside and new blinds installed. Perfect condo for students - why pay dorm rent? Positive cash flow - rents in the area are $950+ mo. 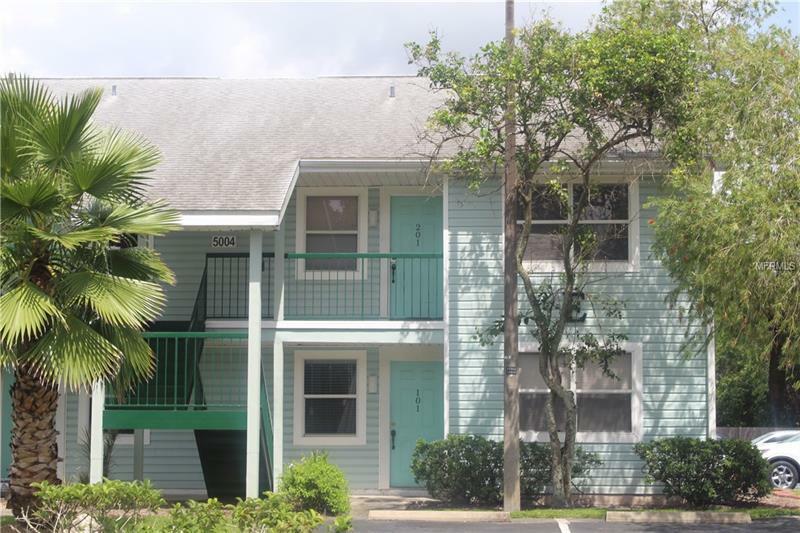 Great location - across the street from the University of South Florida and minutes to MOSI, Busch Gardens, Florida Hospital, Moffitt Hospital, and VA Hospital. Close to restaurants, shopping, interstates I-75 and I-275.